Princess Motor Yacht Sales, the world's largest provider of sales and service for Princess Yachts International, is delighted to be attending the London On-Water Show form 4-7th May 2016 at St Katharine Docks, bringing three of Princess' most popular models to the capital. Princess Motor Yacht Sales was one of the first supporters of the show when it was launched last year, showcasing three stunning motor yachts - all over 70ft - in the central basin of St Katharine Docks. 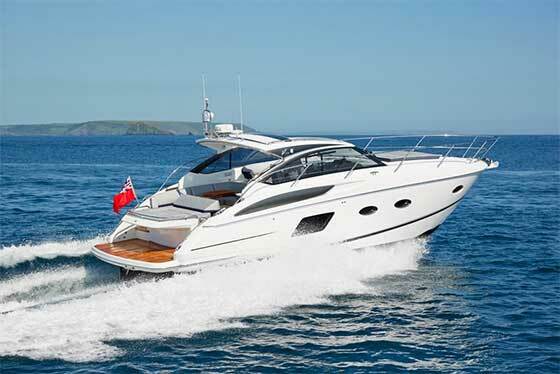 The models on display at this year's on-water event will be the Princess 72, Princess V48 and Princess V39. All three models are representative of one of the world's most progressive and innovative boat builders and are perfect for cruising anywhere. Rybrook Group, a UK top 20 luxury motor retail group, the company seamlessly combines yacht sales with a professional turnkey aftersales service, to make owning and enjoying a Princess as easy as it has ever been. God, it is often said, is in the detail. True or not, there is plenty to worship aboard the Princess 72. Even at the most micro level, the attention to detail is stunning, but it's when you expand your vision and take in the overview of this magnificent yacht that it really impresses. Fundamentally, as a yacht and as a 'home away from home', the palatial interior just works so very well. It's the same story out on deck. The hydraulic bathing platform becomes the ultimate beach, the aft cockpit offers sheltered alfresco eating, or make your way aloft where the flybridge offers yet more options. Yet it's the upper helm at the front of this area that gives you perhaps the greatest comprehension of what this spectacular yacht is really all about. Twin Caterpillar C32A engines make light work of lifting you effortlessly on to the plane where finally you begin to understand the ultimate level of extreme detail less evident to the naked eye that goes into every aspect of this amazing high performance craft. Obsessive engineering results in whisper quiet noise levels whilst the deep vee hull parts the waves with imperialistic grace. We can't promise you that God really is in every detail of the Princess 72, but unquestionably the care and vision that goes into every aspect results in a motor yacht that truly is divine. As is always the case with Princess, personal choice is paramount, so with the flexible V48 sports yacht, there is an option for an open design with full length cockpit and sunroof or the enclosed deck saloon model, available with the option of a climate controlled interior. 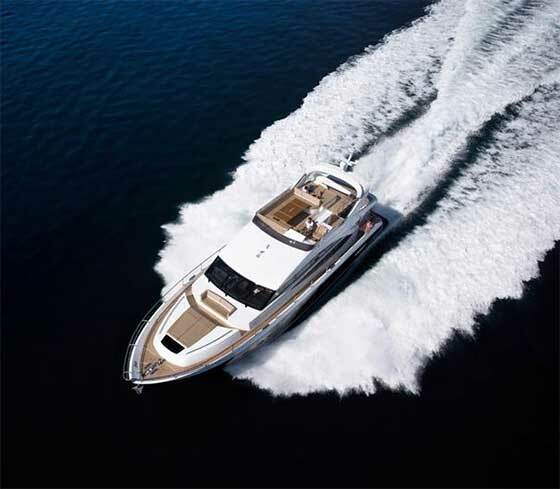 Either way, you're assured supreme exhilaration with up to 34 knots at your fingertips. The accommodation truly makes this boat stand out from others in its class. The master cabin offers full standing headroom, an en suite and a pair of huge windows on the water which afford wonderful views - this is more like a funky hotel suite! The forward cabin also has some cool touches with standard scissor-action berths and oval-shaped ports which allow for plenty of natural light to pour in. 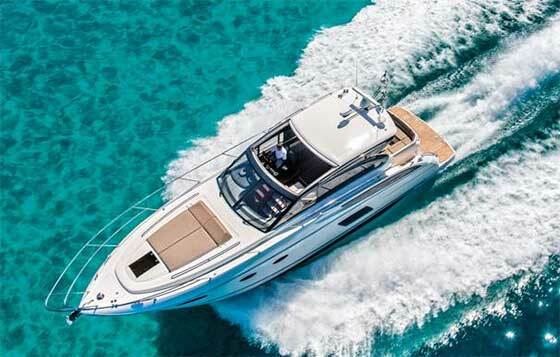 If you are new to boating, then this IPS boat could be just right. The V48 is the first craft from Princess to feature the latest Volvo IPS engines and drive system which makes it extremely easy to drive (this boat has twin Volvo IPS600s with 435hp each), whether you are sliding sideways around a marina or cruising effortlessly at sea. Launched in 2013, the Princess V39 was the first model under 40ft in over a decade, opening up a whole new category and providing a welcome proposition for those who prefer smaller craft yet still demand the very best in style, performance and quality - in short a Princess. Since then, the model has gone from strength to strength. She is now arguably one of Princess' strongest sellers and from £350,000 ex VAT, it is easy to see why. A unique hull design and powerful Volvo D6-330 engines ensure the new V39 is both exhilarating and economical with highly efficient cruising speeds. Her interior is light and spacious and, as with every Princess, is finished with the finest materials and craftsmanship, providing the feeling of a much larger craft. The saloon and well equipped galley are combined, offering a highly sociable entertaining space and the comfort of two generously proportioned,modern guest cabins. As practical as she is elegant the V39 has been designed with an expansive teak-laid cockpit complete with large wet bar and generous seating, plus transom platform large enough to accommodate a tender. The V39, redefines the standard for her size category and in keeping with the rest of the Princess V Class range, she truly is sports cruiser without compromise.